With an inspiring collaborative effort between the Victorian Government, the Transport Accident Commission (TAC) and various stakeholder groups, legislation was last night passed, introducing improved rights for cyclists in Victoria. 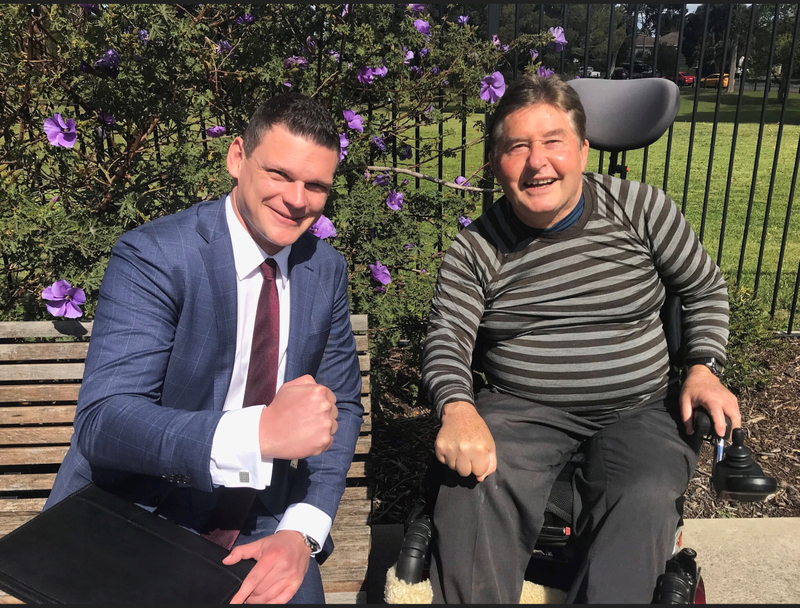 Our deserving client, local Drysdale resident Rory Wilson, has made legal history with his case the catalyst for various changes to the Transport Accident Act 1986. 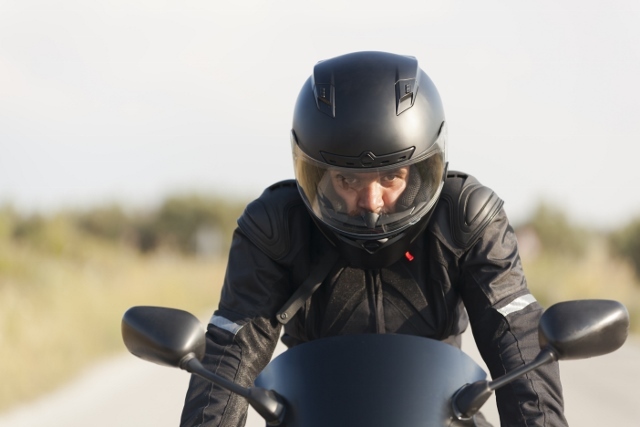 Suffering severe injuries including paraplegia in a cycling accident on 9 July 2014 after colliding with a parked truck in Portarlington, the TAC denied Rory’s claim for compensation due to the then wording of the legislation in relation to cyclists. 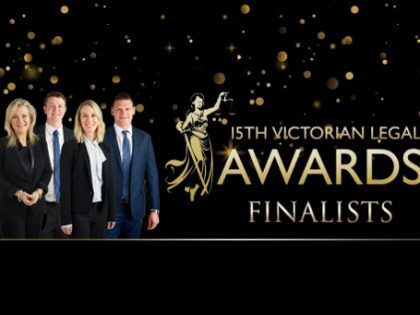 Rory and his legal team, headed by our very own Tom Burgoyne (pictured here with Rory yesterday), ran test case litigation in the Victorian Civil and Administrative Tribunal and the Supreme Court of Victoria. The case served to highlight an anomaly in the law outlined in Tom’s article in the Law Institute Journal “Cyclists Beware” https://www.liv.asn.au/Staying-Informed/LIJ/LIJ/Jan-Feb-2018/Cyclists-beware and prompted inspiring lobbying efforts on behalf of Rory and cyclists in general. The Treasury and Finance Legislation Amendment Act 2018 has as its centrepiece, amendments which ensure that a collision between a cyclist and a stationary vehicle will be covered by the TAC and not just in situations where a cyclist was riding to or from their place of employment. This has been dubbed “Rory’s Law”. Importantly, the change is retrospective to Rory’s date of accident on 9 July 2014 so he will now be covered for TAC compensation benefits including medical care. Other cyclists injured in similar situations on and from that date will also be covered. Rory says: “I am extremely grateful and humbled with the change in the TAC legislation. I have been fortunate enough to have had a lot of local people in my corner supporting me all along. Amazingly, after fighting for 4 years this has happened in a way I never imagined possible”. Tom Burgoyne states that “Rory and his wife Pauline have shown great resilience over the last 4 years. Rory’s law will now mean Rory, and other cyclists similarly injured, will get compensation relief to ease their burden. Credit must be paid to the TAC for its handling of Rory’s litigation in a respectful manner as well as then not turning a blind eye to the anomaly it revealed, as well as to the Andrews Labor Government. There has been a real appetite shown to make change for the better. We are very proud this impetus has come from Geelong and the local community has really outdone itself with the support shown for Rory”. The team at Fortitude Legal congratulate you Rory for your bravery and determination in this fight. It has been an honour to be a part of your journey.